​Mindy, her husband, Tom and their twin daughters, have lived in Penfield for 9 years. 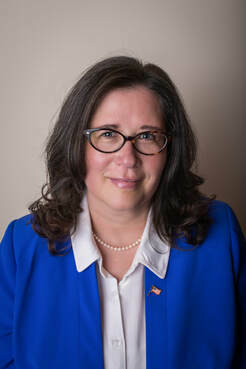 A member of the PenDems since January, 2016, Mindy is honored to be running for Town Board, to be a voice for residents at the Table that is local government. Your financial support for our campaign is greatly appreciated! Contributions can be made to the "Committee to Elect Mindy MacLaren".